Google Compute Engine is Google's Infrastructure-as-a-Service (IaaS) virtual machine offering. It allows customers to use powerful virtual machines in the Cloud as server resources instead of acquiring and managing server hardware. This Refcard serves as an introduction to the Compute Engine and explores its main features. Learn more about machine types, instance groups, and ways to interact with Compute Engine. ► What is the Google Compute Engine? ► What is a Project? What is the Google Compute Engine? The Google Cloud Platform is a suite of product offerings designed to bring the robust flexibility of their cloud architecture to their customers. It is similar in nature and function to Amazon's AWS and Microsoft's Azure. Google entered the cloud computing marketplace later than its competitors. The late entry may have been an initial stumbling block, but that is no longer the case. Google has reached feature parity with its competitors. Google’s virtual machine offering, called the Google Compute Engine, is every bit as robust as an Amazon EC2 or Microsoft Azure instance. Customers can configure and run a wide variety of virtual machine configurations. Google provides Linux and Windows as operating systems for their machines, although a custom machine option means being able to run any OS on any image you maintain. The virtual, and in some cases physical, hardware added to the machine helps to dictate its purpose. For example, a web application server might need lots of RAM and CPUs (Central Processing Units), but it does not need GPUs (Graphics Processing Units). Alternatively, a server working on modeling components or streaming media can use configured GPUs. A simple website server might not need any of this, instead opting for a medium amount of RAM and CPU power. The Google Compute Engine feature set can meet the virtualization requirements of any enterprise. 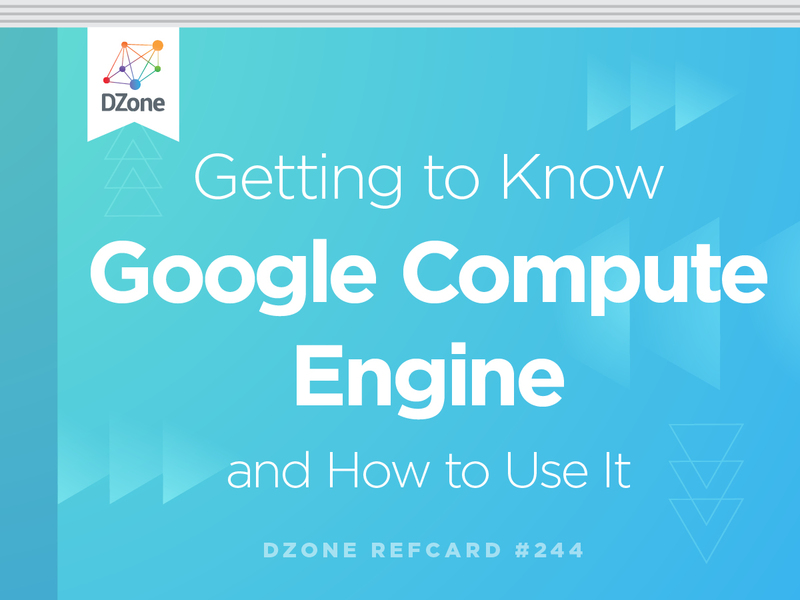 This card serves as an introduction to the Compute Engine and explores its main features. The card also acts as an easy portal to many of the documentation pages you may need when setting up a VM instance. A project is the main organizing unit for instances. The first step in using Google's Compute Engine is to make a project. All instances and resources are then created in that project. Instances and resources in a project are unique to that project, and can not be used by resources in other projects. Resources from other projects can still communicate with each other over standard network communication protocols but they can not be managed together. The Machine Type describes the virtual hardware attached to an instance including RAM and CPUs. It also sets potential limitations such as the maximum number of persistent disks, GPUs, and disk space allowed. There are two main types of machines: Predefined and Custom. Shared-core A single virtual CPU, backed by a physical CPU, that can run for a period of time. These machines are not for use cases that require an ongoing server or significant power. The micro shared-core machine also provides bursting capability when the virtual CPU requires more power than the single physical core. Bursting is for a short, intermittent period based on need. It is possible to fully configure the virtual hardware manually for a Compute Engine VM instance. Administrators can select the number of virtual CPUs and memory allocated to a VM instance within the boundaries set by Google. A certain amount of memory is required based on the number of virtual CPUs, and vice versa. Only use a custom machine type for specific purposes not meet by the predefined types. A GPU is for intensive operations that require dedicated processing units or graphics processing. This includes activities such as computer-aided design, visual modeling, data modeling, machine learning, and streaming. The feature to add GPUs to a Compute Engine is in beta as of June 2017. Quick Tip: Instances with loaded GPUs will be forcefully terminated during maintenance events by Google. This is not true of instances without GPUs which are managed automatically without downtime by Google. To know when a GPU loaded instance is going to be terminated, monitor the /computeMetadata/v1/instance/maintenance-event endpoint from the instance. If the return value is a timestamp, then the returned time is when the machine will be terminated. Persistent disks are the simplest, and probably most commonly used, type of storage for a standard Google Compute virtual machine instance. They mimic the feel and functionality of any standard disk drive that you might attach to a server. In reality, persistent disk resources stretch your data across multiple volumes to ensure reliability and redundancy. Persistent disks need to be mounted onto the machine once created. Once mounted, interaction with a persistent disk feels like working with a normal volume. The Compute Engine stores the disk data independently of the instance. A persistent disk's life cycle is not tied to a particular instance, making them flexible and easily migrated. Persistent disks are also encrypted, and data is encrypted the moment it leaves the instance. It is possible to override some of Google’s automated optimizations of a persistent disk so that you can manage its configuration directly, but that is recommended only for specific purposes by experienced administrators. Shared: Standard type of disk storage with average read/write speeds. SSD: (Solid State Drive) Higher read/write speeds for instances that require improved performance. Quick Tip: Linux operating systems are also capable of creating near zero latency file systems in memory called RAM disks. You can mount a RAM disk to your virtual instance for caching and other application purposes. Mount a disk using the tmpfs disk type to create a RAM disk. For example: sudo mount -t tmpfs -o size=25g tmpfs /mnt/ram-disk . A RAM disk will not be backed up like a normal persistent disk, so saving anything stored there must be done manually. A Local SSD is physically attached to the virtual machine running it. The SSD greatly improves performance and reduces latency. However, the improved performance comes with a trade-off: the data on a local SSD only persists while the instance is running. Stopping an instance clears the data from any SSD that is locally attached. The close connection also makes this the most expensive disk option. These drives are good for cache data that is not stored for long term use or redundant data that can be easily rebuilt. Local SSDs cannot stretch across zones or be load balanced. Data is still encrypted. The least expensive storage options are Cloud Storage Buckets. There are several classes of Storage Buckets depending on the scope and level of performance needed. Some storage classes of Buckets can reach performance levels similar to a persistent disk, but their performance is less consistent. Buckets can exist globally and can be touched by multiple instances. A persistent disk is limited to a Zone, making the scope of a Cloud Storage Bucket the widest ranging of all storage options. There is an added complexity to its easy accessibility, since instances can potentially overwrite each other's data. The more global a class is in scope, the slower and more latent its operation. In practice, the more global in scope, the more likely it is used for long-term archival and other non-mission-critical tasks. Cloud Storage Buckets are automatically redundant, making them extremely reliable. The Google Compute Engine encrypts all data just like the other storage options. Buckets are mountable onto a VM's file system just like a persistent disk. The main difference between a bucket and a persistent disk is the nature of the data stored. Persistent disks are file-based storage mechanisms, while Cloud Storage Buckets are object stores. Since they are object stores, they cannot serve as a root drive for a VM. Images are the software applied to your instance, including its root operating system. It is possible to use an image pre-loaded with software that more closely meets your needs. The public images are a good starting point, but they are designed to be built upon and turned into custom images to match your needs. Production ready environments are built on custom images. A custom image will not only have the software needed; it has all the scripts necessary for the instance to work automatically without administrator intervention. Custom images are automatically brought up and shut down for load balancing or recovery needs. Quick-Tip: Metadata about an instance is stored at the http://metadata.google.internal/computeMetadata/v1/ endpoint. Images are spun up into instances dynamically, so anything that is used at runtime, such as an automation script, will need to retrieve instance attributes through this endpoint. For more information, see Storing and Retrieving Instance Metadata. Image families are a way to organize images so that the desired version is available without updating images and code every time the version is changed. Using an image family is similar to providing an alias so that installation can use a non-version numbered name and still get the most recent stable version. Images are added to, deleted from, and deprecated in an image family. When calling that image family, it returns the most recent non-deprecated version. Rolling image versions forward or backward in an image family is as simple as adding a new version or deprecating an existing version. Managing large numbers of individual virtual machines can be cumbersome. Google helps administrators manage this potential workload with the use of instance groups. Administrators can manage the instances in an instance group simultaneously. There are two types of instance groups: managed and unmanaged. A managed instance group is made up of instances all built from the same image template. An image template defines all the attributes for an instance, including which image to use. Administrators and the Compute Engine can manage the instances in bulk since all the instances are the same. This group is the most common, and the one Google suggests administrators use. A managed instance group can automatically scale and be used to balance server loads. Since the instances are identical, the Compute Engine can bring new instances up or down to match the current traffic needs. 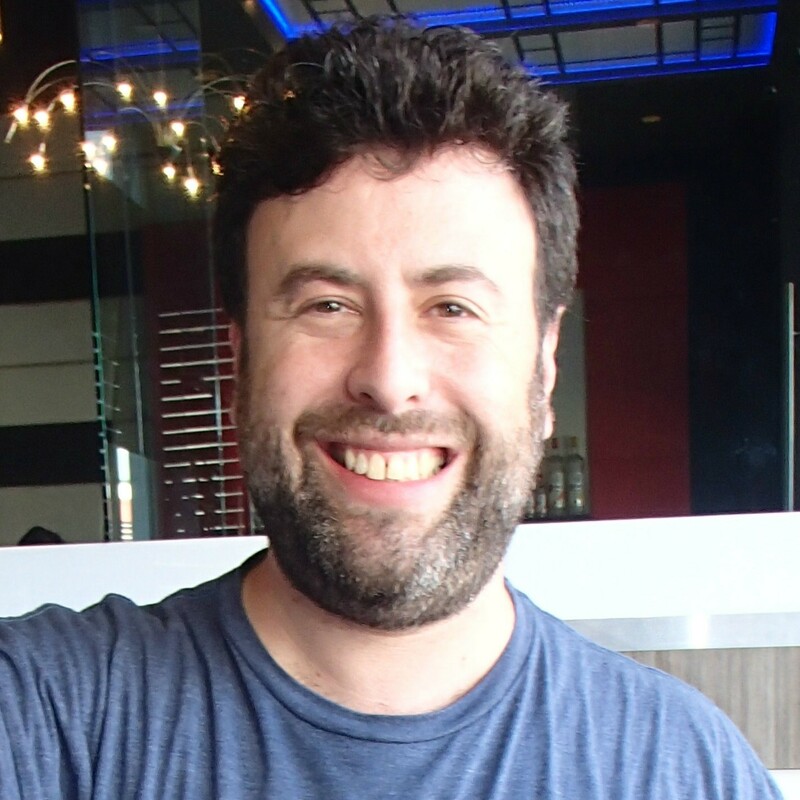 The Compute Engine can also stop unhealthy instances and replace them with new instances. An unmanaged instance group is a collection of different instances, not based on the same image template. Management options are limited for an unmanaged instance group since the instances are not identical. An unmanaged instance group cannot be used for load balancing and cannot auto scale. Preemptible instances are a low-cost option for non-mission critical uses. They run when the Google Compute Engine has resources available. Alternatively, the Google Compute Engine will terminate a preemptible instance when its resources are needed. Preemptible instances are perfect for uses that can function with variable processing power and support variable processing times, such as batch operations and data archival. Any task being performed by a preemptible instance should be fault-tolerant. Preemptible instances can be part of an instance group. The Compute Engine can terminate an instance in a group when it needs resources, but is highly unlikely to terminate all the instances in a group. Removing instances from the group causes the service to slow but not stop entirely. When resources are again available, the Compute Engine attempts to restore the instance group to its quota. There is no guarantee about the amount of power available at any one time. Instances are shut down in the order of most recent to longest running. Shutting down the newest first is unlikely to jeopardize a long running process that may have made progress in favor of a process that may have just started. Preemptible instances can run a maximum of 24 hours before being terminated by the Compute Engine system. It is best to plan for system enforced termination with scripts that can run to prepare the process for exiting. The instance is notified 30 seconds before termination for shutdown scripts to run. Region: a broad geographical area. Regions are made up of zones. Resources at the regional level are called Regional resources. Zone: a unit of resources that make up regions. Resources at the zone level are Zonal Resources. Global: A resource that exists in no specific region and can be used in any region. These are labeled Global resources. The scope of a resource is constrained to its location category. For example, a zonal resource like a persistent disk can only be used by an instance in the same zone. Meanwhile, regional resources are accessible to other regional resources and zonal resources in that region. Resources, like images, exist globally and can be used by a resource in any region. The only user automatically able to use a project and its resources is the project creator. Users, servers, and external integrations are connected to the project resources manually. Users: user access is controlled through project roles, like "Compute Engine Network Admin," or primitive roles like "Editor." Service Accounts: Applications and resources can be given access to each other through service accounts. Service accounts are specific to resources and relieve developers from using user credentials for systems to talk. SSH Access: For users to access a VM through SSH but to have no project level access, add a user's public key to the project or a specific instance. There are several ways to interact with Compute Engine instances: the gcloud CLI, a REST API, and the console. The console is a graphical interface that is straightforward to use, although encumbered by UI operations. The gcloud CLI tool is accessible on all Compute Engine VMs when started through the console's ssh option. The gcloud tools can also be installed onto any Compute Engine VM if you need to connect directly through SSH or some other means. Finally, there is a REST API that can be used to manage Compute Engine VMs. and Microsoft's Azure. Google entered the cloud computing marketplace later than its competitors. The late entry may have been an initial stumbling block, but that is no longer the case. Google has reached feature parity with its competitors. Google’s virtual machine offering, called the Google Compute Engine, is every bit as robust as an Amazon EC2 or Microsoft Azure instance. Users: user access is controlled through project roles, like \"Compute Engine Network Admin,\" or primitive roles like \"Editor.\"